Provide comfort for the family of Susan Romano with a meaningful gesture of sympathy. Susan Romano, age 63 of Seymour (formally of Derby and Ansonia), entered into peaceful rest after a brief illness on Saturday, December 15, 2018 in Griffin Hospital. Born in New Haven on January 21, 1955, she was the daughter of the late James Ballester and Zolinda (Pompi) Ballester of Naugatuck. 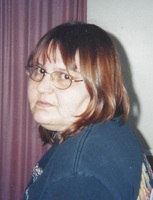 Susan worked as a cashier for Stop and Shop in Ansonia and Naugatuck for many years. She had many friends and neighbors who enjoyed each other’s company. Susan will be remembered for always having a smile and an open heart. In addition to her mother, she is survived by her sister, Jean Ballester of Naugatuck; as well as her companion and soul mate, Bill Gleason of 15 years. Donations in her memory can be made to Birmingham Healthcare, 435 E. Main St. Ansonia, CT 06401, or My Sister's Place, 380 Main St. Ansonia, CT 06401. A Memorial Mass in celebration of her life will take place on Friday, January 11, 2019 at 9 am in St. Nicholas Parish, Church of the Good Shepherd, 135 Mountain Rd. Seymour, CT 06483. To send flowers in memory of Susan Romano (Ballester), please visit our Heartfelt Sympathies Store. Provide comfort for the family of Susan Romano (Ballester) by sending flowers.